Coral Gum (Eucalyptus torquata) is a native of Western Australia and used as a hardy street tree in dry climates. Look on the ground under them when in blossom and you’ll find hundreds of dainty little flower caps. Collect some caps, dry them out for a couple of days, then snap or cut off the tips. 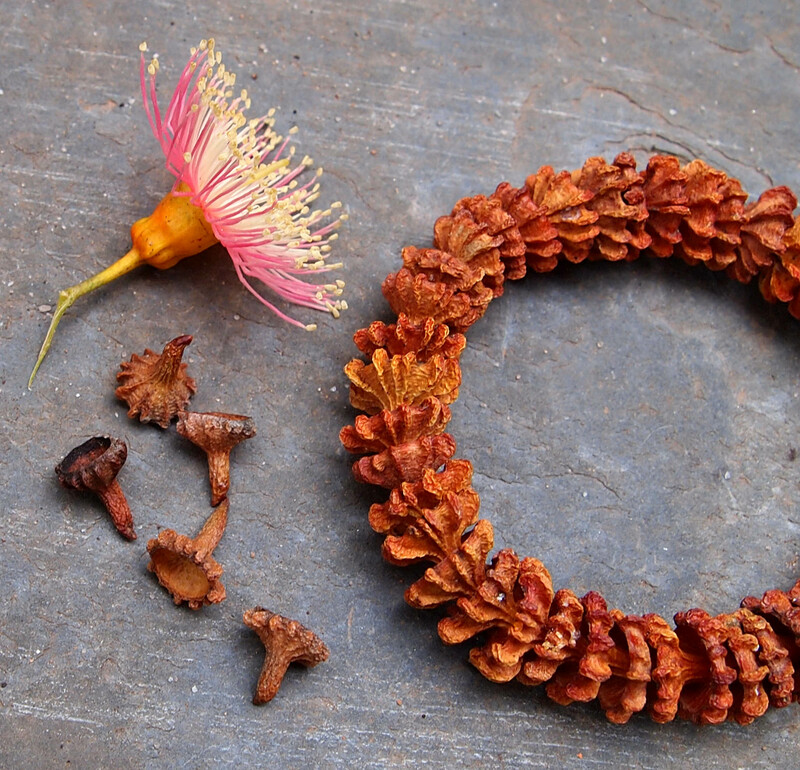 Thread them like beads to create a Coral Gum bracelet or necklace. This is a lovely mindful nature craft activity for kids, which adults enjoy it too! More information on seedpod jewelry is on page 30 of my book Nature Crafts for Aussie Kids.